Ramisch, J.J., (2011) Experiments as ‘performances’: Interpreting farmers’ soil fertility management practices in western Kenya. Chapter 15 in Goldman, M., P. Nadasdy, M.D. Turner (eds.) 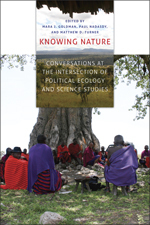 Knowing Nature: Conversations at the Intersection of Political Ecology and Science Studies. Chicago: University of Chicago Press. Pp. 280 – 295. 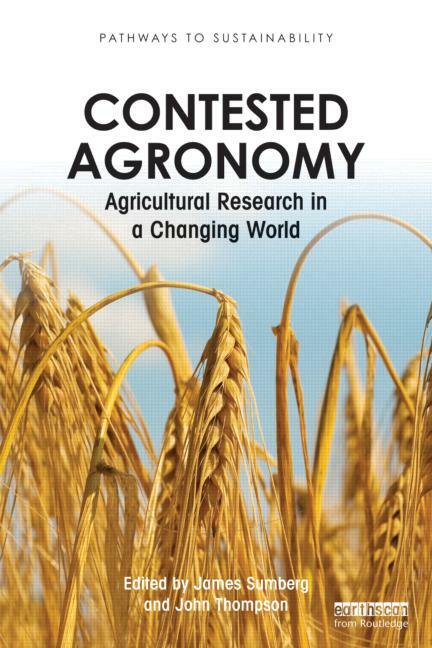 A growing body of literature describes the interface between formal agricultural research and the knowledges of local communities. While this research has advanced the awareness of rural practice it usually does so with utilitarian goals of “integrating” knowledge systems or validating local practice in more cosmopolitan forums. Yet encounters between development actors are power-laden such that claims of “knowledge”, evidence of “learning”, or indeed the very construction of “local practice” are contestable subjects. 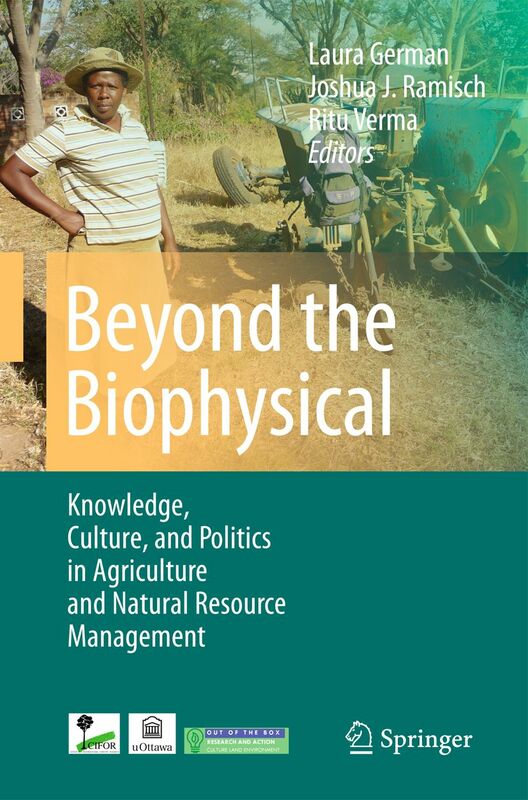 Specific examples from community-based learning and development projects in western Kenya illustrate the performative and negotiated nature of both local and formal knowledge as applied to constructing and interpreting “experiments” relating to soil fertility management. The diversity of practices and outcomes reveals the problems of generalizing principles about actual soil fertility management strategies without an understanding of their social context. ABSTRACT The aim of this paper was to understand the process of selecting soybean (Glycine max [L.] Merr.) promiscuous varieties by smallholders for soil fertility management in western Kenya. Eight varieties were screened on 2.5 m × 3 m plots that were managed according to farmers’ practices and evaluated through participatory monitoring and evaluation approaches. Farmers selected preferred varieties and explained their reasons (criteria) for making the selections. Seven promiscuous varieties had better yields than a local one. Farmers’ selection criteria fell into three broad categories relating to yield, appearance and labour. Selection criteria were not primarily aimed to improve soil fertility. This created a challenge to embed the new varieties within the local farming systems for soil fertility improvement. This study shows that farmer criteria for selecting varieties overlapped with scientific procedures. We propose co-research activities targeted to strengthen farmer experimentation skills, their understanding on Nitrogen addition, and the role of Phosphorus. Download the full text from ResearchGate here. ABSTRACT The following study was conducted to determine smallholders’ land use management practices and agricultural indicators of soil quality within farmers’ fields in Chuka and Gachoka divisions in Kenya’s Central Highlands. Data on cropping practices and soil indicators were collected from farmers through face-to-face interviews and field examinations. Farmers characterised their fields into high and low fertility plots, after which soils were geo-referenced and sampled at surface depth (0–20 cm) for subsequent physical and chemical analyses. Farmers’ indicators for distinguishing productive and non-productive fields included crop yield, crop performance and weed species. Soils that were characterised as fertile, had significantly higher chemical characteristics than the fields that were of poor quality. Fertile soils had significantly higher pH, total organic carbon, exchangeable cations and available nitrogen. Factor analysis identified four main factors that explained 76 per cent of the total variance in soil quality. The factors were connected with farmers’ soil assessment indicators and main soil processes that influenced soil quality in Central Kenya. Soil fertility and crop management practices that were investigated indicated that farmers understood and consequently utilised spatial heterogeneity and temporal variability in soil quality status within their farms to maintain and enhance agricultural productivity. Our 2007 article in Geoderma about How farmers manage complex soils in Central Kenya. Franklin Mairura‘s MA research page.